Rev. Allie Rosner Bass came to Arlington Temple in June 2013. Allie is a Northern Virginia native from the end of the Orange Line. She grew up in Vienna, where she attended Epiphany UMC. After she graduated from Thomas Jefferson High School for Science and Technology, Allie entered the College of William and Mary intending to pursue a career in international relations, and ended up experiencing a call to ordained ministry. As she got involved in the Williamsburg community and met a variety of people ranging from immigrants learning English as a second language to disabled adults in her church’s Respite Care program, Allie realized she was meeting God’s beautiful, diverse family, and she wanted to be a part of that and help draw others in. Allie attended Emory University’s Candler School of Theology, where she worked at a women’s shelter and at an inner city church. Upon graduating from seminary, she worked as an intern for several months at Rising Hope United Methodist Mission Church in Alexandria. 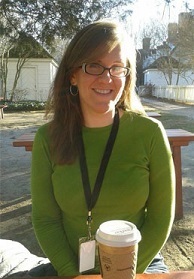 Allie was the associate pastor at Williamsburg United Methodist Church before moving to Arlington. Her passion is strengthening the church’s connections with the community and world around it through service and outreach. In preaching and teaching, she loves to try to look at scripture and tradition in new ways. Allie married her husband Jon in July 2014, and they have a daughter, Evelyn, and a cat, Dobby. Allie spends what free time she has running, baking cookies (to cancel out the running), and learning new languages. She loves to travel and has visited six continents–only Antarctica to go!